LOCATION! LOCATION! LOCATION! Minutes from Joe's Farm Grill, The Coffee Shop, San Tan Mall, Cosmo Dog Park, & Loop 202 frwy! 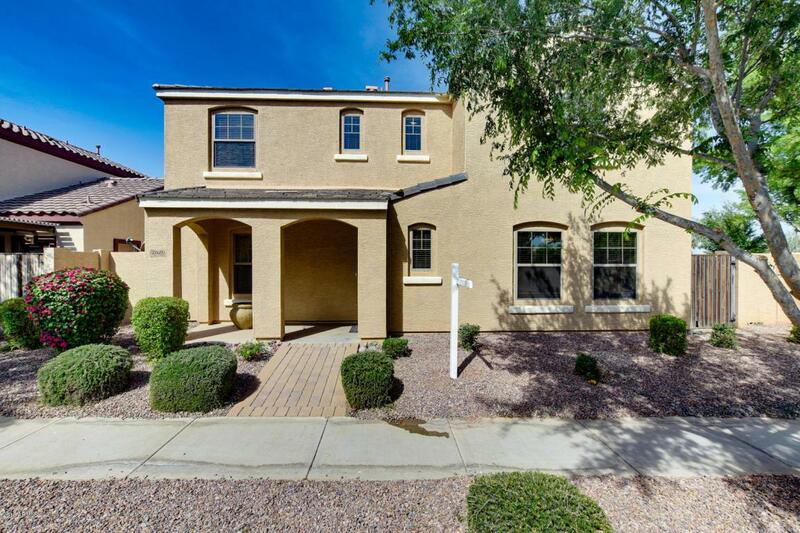 This FANTASTIC 4BD/3BA MOVE-IN READY home in the highly sought out Lyon's Gate community is sure to impress! Plenty of natural light makes this space BRIGHT! The UPDATED kitchen features beautiful QUARTZ counter tops, newer appliances including a double oven, & recessed lighting. SPACIOUS master bath includes walk-in closet w/built-in shelving & linen closet. Ceiling fans throughout. Easy to maintain front & back! Community boasts THREE POOLS, 8 playgrounds & a clubhouse! You do NOT want to miss this!